Rhoper Rhodes has produced many quality bathroom products and when it comes to this toilet seat you can add that to the list, as well. It’s strong, it’s modern and it’s cost-effective – what is not to love about that, exactly? The chrome plated hinges make for a reliable and safe balance between the seat going on and coming off, leaving you with a perfectly easy to use toilet seat that closes slowly and efficiently. The hinges are made to last for many years so you don’t need to worry about them stiffening up or making a horrible noise with age! 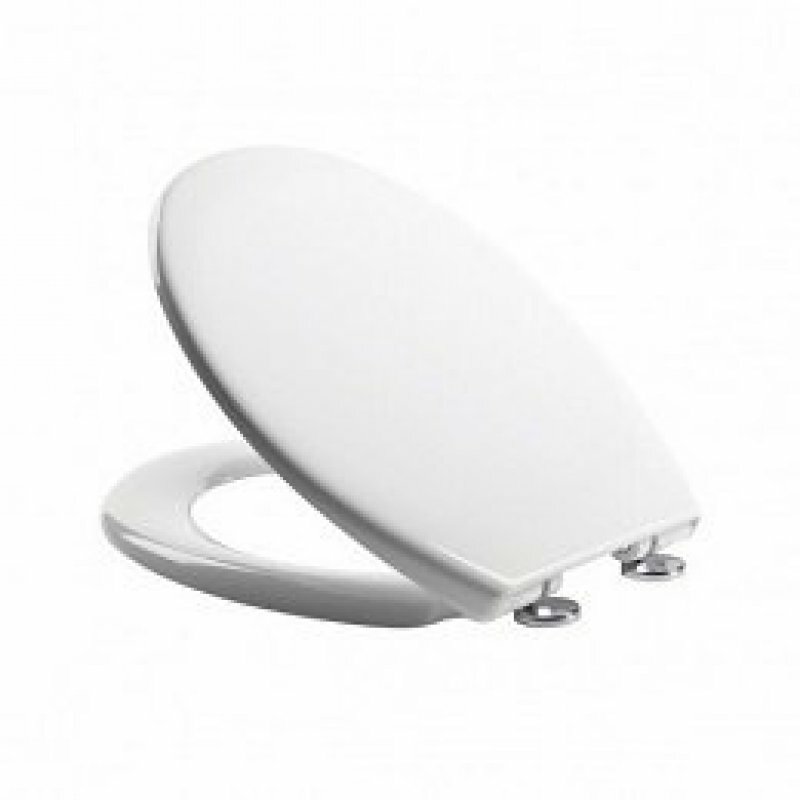 This is also a very versatile toilet seat – it will fit just about any toilet that you try it on unless you happen to own a very specific size and style of throne. The anti-bacterial additives on the lid and seat itself will stop any build-ups from occurring so that you can rest your buttocks on the seat with confidence and clarity! 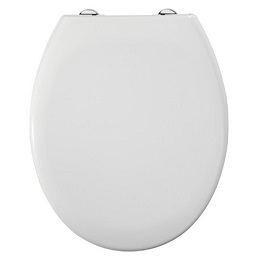 At a stunning price this is one of the best mixes of quality and value that you are likely to find on the web anywhere, so make the choice and go for the Roper Rhodes if you want a quality toilet seat.